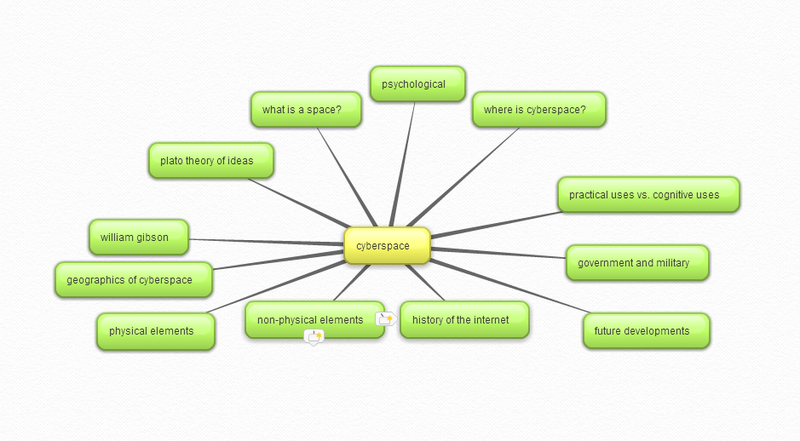 Adams, PC & Warf, B 1997, ‘Introduction: cyberspace and geographical space’, Geographical Review, vol. 87, no. 2, pp. 139-145. Clark, DD, Wroclawski, J, Sollins, KR & Braden, R 2002 ‘Tussle in cyberspace: defining tomorrow's internet’, ACM SIGCOMM Computer Communication Review, Vol. 32, No. 4, pp. 347-356. Cobb, JJ 1999, ‘A spiritual experience of cyberspace’, Technology in Society, vol. 21, no. 4, pp. 393- 407. Coyne, R 1998, ‘Cyberspace and Heidegger’s pragmatics’, Information Technology & People, vol. 11, no. 4, pp. 338-350. Deibert, R & Rohozinski, R 2010, ‘Liberation vs. control: The future of cyberspace’, Journal of Democracy, vol. 21, no. 4, pp. 43-57.